I love to challenge myself, and even more, I love to challenge my clients. Being happy, being healthy, and getting the life you want takes work, but you don’t have to do everything all at once. I think of being happy and healthy as a full time job and I show up for that job every single day. Why do I continue to work at it? 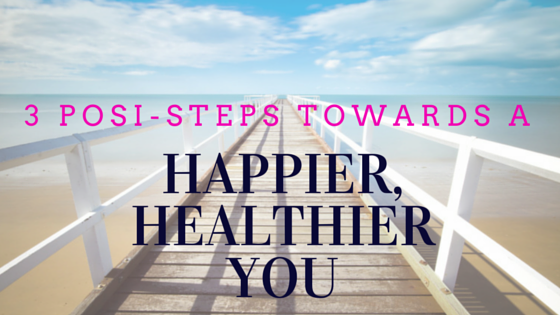 Because of all the awesome benefits that come from being happy and healthy. Your journey can start with three simple changes, or even just one. When you feel yourself about to judge someone else, stop yourself and say something kind about them instead. You don’t know what is going on in their life and no one is perfect, even you. I know; that surprised me as well. In life, you get what you give, and you feel so much better about yourself when you are saying kind things and not judging. Also, don’t make other people feel bad for the things that that bring them joy. Judge no one! Remember this saying, “works for you, not for me.” The reverse is true as well. I had a client ask me how this was suppose to enhance her happiness. When you judge other people, you are judging them because there is something in your life that you feel you are lacking. That negative focus only attracts more negativity. The happier you are for people around you, the more happiness you will attract into your own life. Whenever you feel that fear is holding you back from chasing a dream, just do it. For example, have you been wanting to apply for a certain job, but are afraid you won’t get it? What’s the worse thing that could happen? You don’t get it. Life goes on. Nothing has changed; you don’t have the job now, so you haven’t really lost anything. And, what if you do get it? Awesomeness! When you go after something you really want, even if you don’t get it, you feel so powerful because you didn’t let anything hold you back. And if you don’t get that job, it will be something better. Only you can give yourself the life you want. Go get it! The connection between your mind and your body is so incredibly strong. To become the happy and healthy, you have to Eat, Move & Think your way towards it. For one week, eat three incredibly balanced meals a day and start moving. Walk, bike, yoga, dancing…just move. Just start with one week. If you feel great, keep going. Here is a little secret…you are going to feel great. Not sure where to start when it comes to making healthy meals? Check out all the recipes right here in this blog. They are all free and made with love. Start with those three steps and watch your life transform. Don’t believe me, try it!